Officials also added that the first load of sand was delivered to Reach 2. 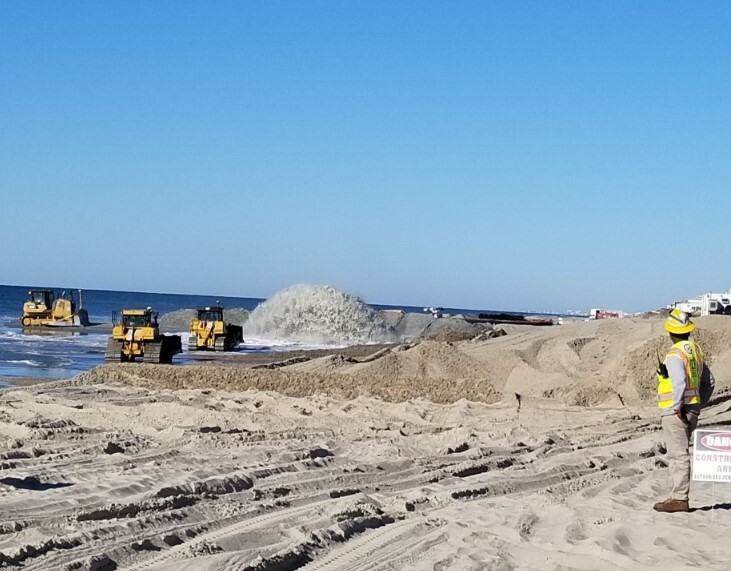 According to the update, beach nourishment activities are now progressing eastward from the 2nd submerged pipeline landing, and will be “flipped” westward once the eastward run is completed. Also, the submerged line for Reach 1 in Emerald Isle has been installed near 16th Street. The Post Florence scheme – awarded to the Great Lakes Dredge & Dock Company (GLDD) – will utilize 945,446 cubic yards of sand obtained from the Offshore Dredged Material Disposal Site (ODMDS) associated with Morehead City Federal Navigation Project.